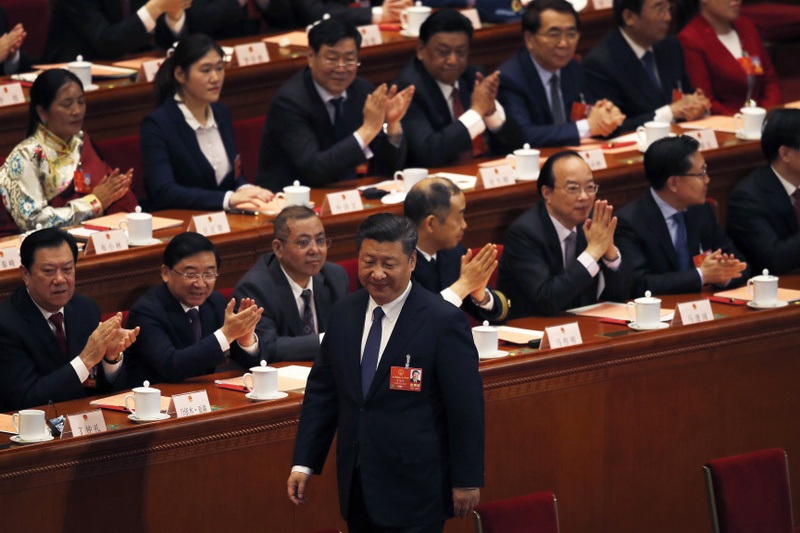 BEIJING (AP) — China's rubber-stamp lawmakers on Sunday passed a historic constitutional amendment abolishing a presidential two-term limit that will enable Xi Jinping to rule indefinitely. "This marks the biggest regression in China's legal system since the reform and opening-up era of the 1980s," said Zhang Lifan, an independent, Beijing-based political commentator. In a sign of the issue's sensitivity, government censors are aggressively scrubbing social media of expressions ranging from "I disagree" to "Xi Zedong." A number of prominent Chinese figures have publicly protested the move, despite the risk of official retaliation. The legislature's spokesman has said the abolishing of term limits is aimed only at bringing the office of the president in line with Xi's other positions atop the Communist Party and the Central Military Commission, which do not impose term limits.